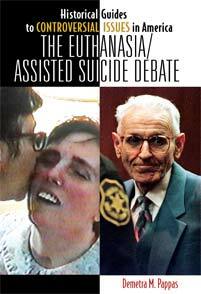 Demetra M. Pappas has just published a book entitled, The Euthanasia/Assisted Suicide Debate (Greenwood Press). As a part of Greenwood’s Historical Guides to Controversial Issues in America, the book studies the history of doctor prosecutions for euthanasia and assisted suicide, and how these furthered the debate regarding medically hastened death since the early 1900s. Pappas also discusses some of the originating legal theorists regarding criminality (or lack thereof) relating to doctors and how the criminal justice system and the media have treated doctors in court and in seminal legislative efforts. Suzanne Wasserman to Speak at SFC on "Thunder in Guyana"